Get books your child will love. 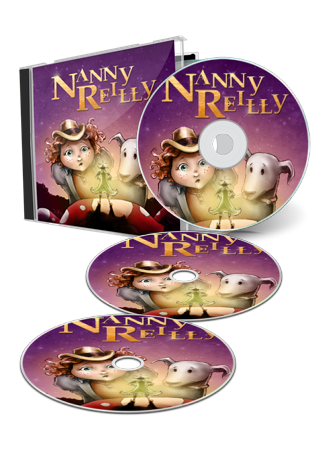 Kids LOVE Nanny Reilly Your child will become a reading machine! 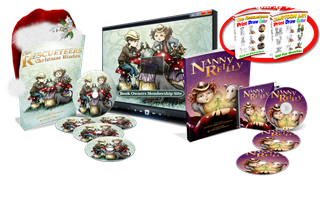 Children's Paperbacks & CD's,(8 CD's total) Over 9 Hours of Audio, 2 Book Series, Signed by the Author and read by the Author, Irish Storyteller, Annette O'Leary. Plus, Exclusive to Book Owners Only, Instant Access, to a Children's Literacy Membership Site. "Listen and Read With Me." 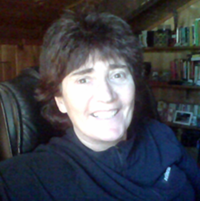 E-books, Mp3's, Live Storytelling Videos by Author Irish Storyteller, and... Bonus Print, Draw Color, Charachter Coloring E-books! Get books your child will love. Kids LOVE Nanny Reilly. Your child will become a reading machine! Reading aloud to children has been shown to improve their logical thinking, reading skills, writing skills, communication skills and academic aptitude. Teachers are currently using audio books in classrooms to strengthen comprehension of verbal and written skills. Audio books are also played in children’s hospitals. Who Are These Books And Literacy Website For? Nanny Reilly and her dog Henry Daly are tricked by a mean leprechaun king into kidnapping his niece Princess Tara. Nanny's kindness and innocence brings out the best in King Brian and they are invited to the leprechauns dance on mid-summer's eve. Nanny, Henry Daly and their new friend Ned, dress up in their Sunday best and go to the dance. On their way to the dance, Princess Tara and her father King Rory are caught by a mean man named Bull Cullen. Bull is looking for the crock of gold and is ready to surrender Princess Tara and King Rory to the Banshee, a mean old witch who lives in the heart of the forest. Nanny, Ned and Henry Daly rescue them. For their bravery, they are presented with a gold whistle each and two magic ponies. Their gold whistles give them the same magic powers as a leprechaun. One day while out beach combing on their ponies, they come across footprints in the sand. They follow the prints and find a distraught fisherman named Fran O'Toole whose friend Mike Donovan has been captured by the Banshee. These footprints are the beginning of a magical adventure, which lead them deep within the Banshee's Cradle. 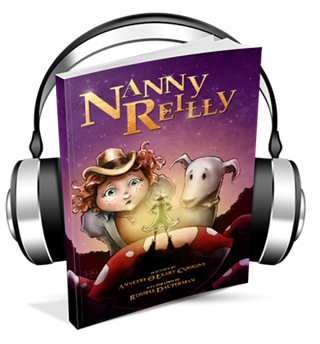 Nanny Reilly - Irish Folklore at Its Finest! King Brian, king of all the leprechauns of Coolrainy is a crafty leprechaun. He has been waiting for Nanny Reilly to show up at her favorite place, Magandy's pond. He has threatened to put Nanny and her dog Henry Daly under leprechaun's arrest for stealing the mushroom tops, which happen to be the roofs of the leprechaun houses. He knows he has left Nanny no way out, unless she promises to carry out a daunting task for him..
Annette, thank you so much for coming and reading to the Butte children. They really enjoyed it. I hope you sell lots of books. They are fun to read and all of ours went out the same day you came. What if you were called upon by the King of the leprechauns to rescue Santa from the wicked Banshee of Raven's Point? The two bravest nine year olds in Ireland, their equally courageous greyhound and five leprechauns embark on a very important mission - to save Christmas for everyone. After renewing their willingness to once again be Rescueteers, Nanny Reilly, Ned Franey and their dog Henry Daly, soon discover the Banshee and her skeleguards are on high alert awaiting their arrival. Even worse... she has installed a wish blocking device that surrounds the entire Banshee's Cradle. Suddenly, all the Rescueteers' wishes and magical shillelagh-waving are worthless. 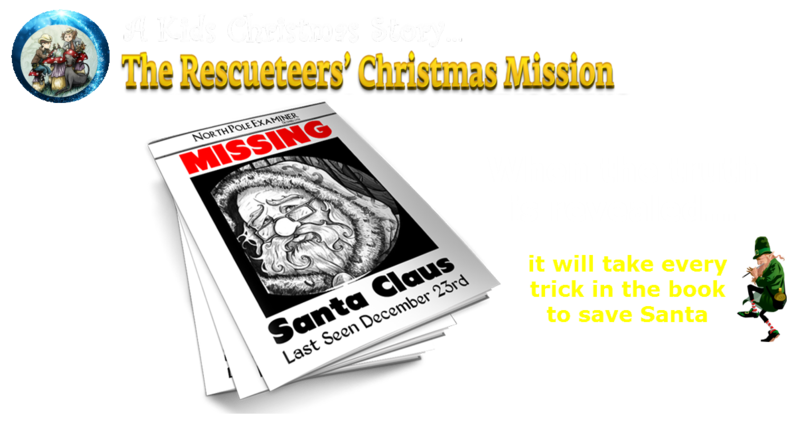 As the attempt to liberate Santa and the punish the almost comically wicked Banshee, The Rescueteers soon realize that they may never return from their mission to the Banshee's Cradle. In this charming and magical Christmas adventure story set in the Irish mythological world of leprechauns and banshees, the Rescueteers unearth secrets and a deep underworld woven beneath the infrastructure of the Banshee's Cradle - secrets that have the power to affect all of them ... forever. I was born in Ireland at a time when storytellers shared their mystical and magical stories with us on a black and white TV set. We took the stories the storytellers relayed to us, their ever attentive audience, as gospel, and incorporated them into our childhood adventures. 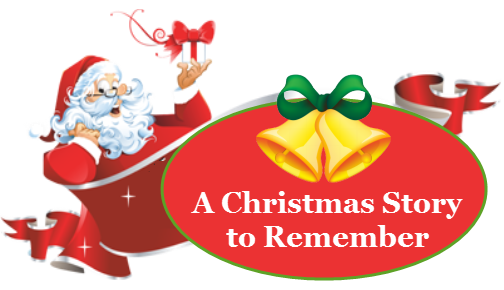 We believed, leprechauns were out to bring us good fortune, banshees were out to bring us misfortune, and Santa Claus was our God send at the end of every year. The influence of the storytellers, certainly contributed to our wealthy, happy and adventurous childhood. King Brian, king of all the leprechauns of Coolrainy has just broken the news to Nanny, Ned and Henry Daly about Santa being captured by the Banshee. © Copyright 2019, Nanny Reilly Books Inc. All Rights Reserved.